Definition at line 67 of file CQNotes.h. Definition at line 132 of file CQNotes.cpp. References CQIconResource::edit, CQIconResource::icon(), mEditMode, and mpValidatorXML. Definition at line 153 of file CQNotes.cpp. Definition at line 219 of file CQNotes.cpp. References CKeyFactory::get(), CCopasiRootContainer::getKeyFactory(), load(), CopasiWidget::mKey, mKeyToCopy, CopasiWidget::mpObject, and save(). Definition at line 199 of file CQNotes.cpp. References CKeyFactory::get(), CCopasiRootContainer::getKeyFactory(), CopasiWidget::mKey, CopasiWidget::mpDataModel, CopasiWidget::mpObject, and save(). Definition at line 289 of file CQNotes.cpp. References CAnnotation::castObject(), FROM_UTF8, CReportDefinition::getComment(), CAnnotation::getNotes(), CQValidatorXML::isFreeText(), mChanged, mEditMode, CopasiWidget::mpObject, mpValidatorXML, mValidity, CQValidator< Type >::saved(), slotToggleMode(), and slotValidateXML(). Referenced by enterProtected(), slotToggleMode(), and update(). 308 // thus Qt uses locale settings. Definition at line 327 of file CQNotes.cpp. 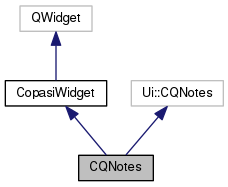 References CAnnotation::castObject(), ListViews::CHANGE, CCopasiDataModel::changed(), FROM_UTF8, CReportDefinition::getComment(), CAnnotation::getNotes(), mChanged, CopasiWidget::mKey, ListViews::MODEL, CopasiWidget::mpDataModel, CopasiWidget::mpObject, mpValidatorXML, mValidity, CQValidatorXML::needsWrap(), CopasiWidget::protectedNotify(), CReportDefinition::setComment(), CAnnotation::setNotes(), and TO_UTF8. Referenced by enterProtected(), leave(), and slotToggleMode(). 352 // We wrap the HTML in a body element if it does not contain a top level html or body element. Definition at line 156 of file CQNotes.cpp. Definition at line 383 of file CQNotes.cpp. Definition at line 237 of file CQNotes.cpp. References CQIconResource::edit, CQIconResource::icon(), load(), mEditMode, CQIconResource::renderMarkup, and save(). Definition at line 258 of file CQNotes.cpp. References CQIconResource::edit, CQIconResource::icon(), CQValidatorXML::isFreeText(), mEditMode, mpValidatorXML, mValidity, CQIconResource::renderMarkup, and CQValidatorXML::validate(). Definition at line 162 of file CQNotes.cpp. References ListViews::CHANGE, ListViews::DELETE, load(), mEditMode, CopasiWidget::mKey, ListViews::MODEL, and CopasiWidget::mpObject. Definition at line 92 of file CQNotes.h. Definition at line 91 of file CQNotes.h. Referenced by CQNotes(), load(), slotToggleMode(), slotValidateXML(), and update(). Definition at line 96 of file CQNotes.h. Definition at line 93 of file CQNotes.h. 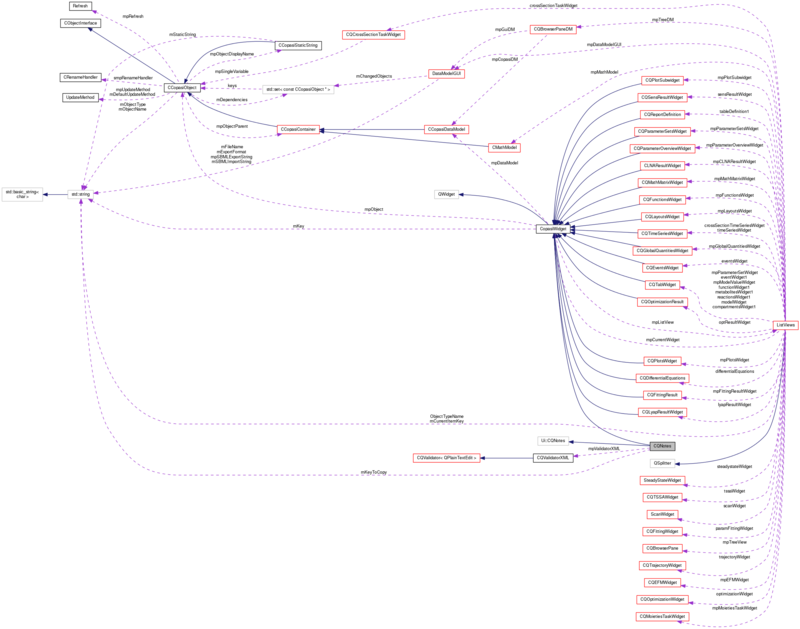 Referenced by CQNotes(), load(), save(), and slotValidateXML(). Definition at line 94 of file CQNotes.h. Referenced by load(), save(), and slotValidateXML().